Think high-quality branded premiums have to cost a fortune? Think again. 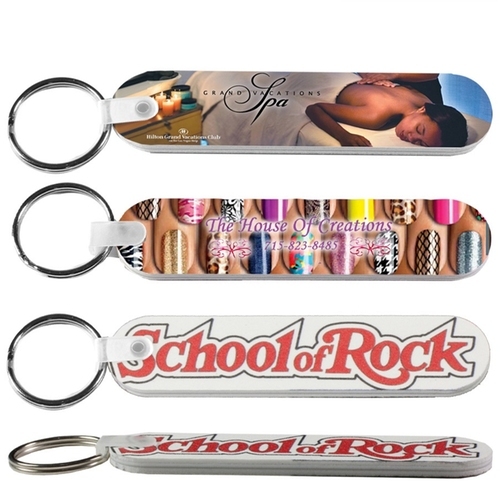 Some of our most sought-after promotional items come in well under your budget – as in, $1 or less per item. The best part? 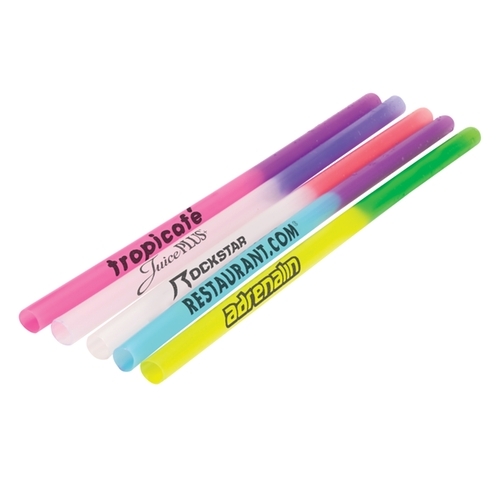 Not only are these branded items affordable, they’re fun, functional and always a customer favorite. In short, you get to look like the hero, delivering these must-haves to your clients, vendors and employees – while also looking like a hero back at the office because you didn’t break the bank. Talk about a win/win. So where to start? These top 10 are our most popular premiums under $1. Start here and consider adding a few of these evergreen “go tos” to your collection. Who doesn’t want to see into the future and snag a sweet treat in the process? Exactly – and that’s why these cookies are such a hit. Your brand on the packaging and on the fortune, ensures your message is front and center. It’s a pen – and that’s always useful. But – boom! 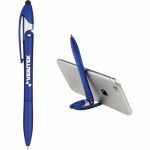 – this piece has a hidden hinge that, when popped out, forms a cell phone stand. It’s the ultimate two-in-one, perfect for the office, home office or for the car-turned-office. Who doesn’t love a great bottle of vino? But, often, it’s tough to recall who that sensational sip came from post-drop off. 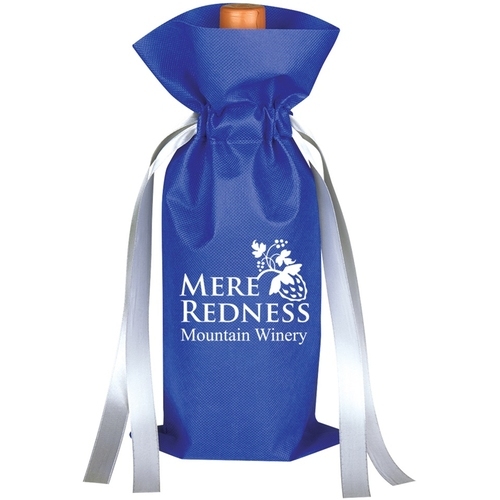 The solution – branded wine bags – available in black, blue, green and red. 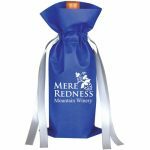 With a drawstring ribbon, your wine will stay secure, and because there’s plenty of space for big, bold branding, you’ll ensure they see your business and your message before raising a glass (or two…). Cheers to that. Everyone needs self-adhesive notes and flags – why not package them up in a fun, memorable way? 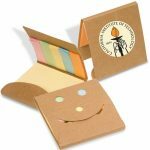 These Happy Face Memo Packs do just that, with a cute, smiling face on one side and your branding on the reverse. Pop a pack open for a set of 3” x 3” self-adhesive notes , plus self-adhesive flags. In case you missed the memo (and the blog post …), reusable straws are the ultimate “it” item. Not only are they on-trend and in-demand, but they’re helping curb waste and giving the environment a serious boost. Recipients – and their kids – will love the color-changing feature of these reusable straws and, when they’re done, they can simply rinse or pop in the dishwasher and reuse. Bonus! It happens every time – you toss your headphones in your bag or pocket and they come out a tangled mess. With this branded earbud winder it’s easy to keep headphones ready for action – and your message front-and-center. 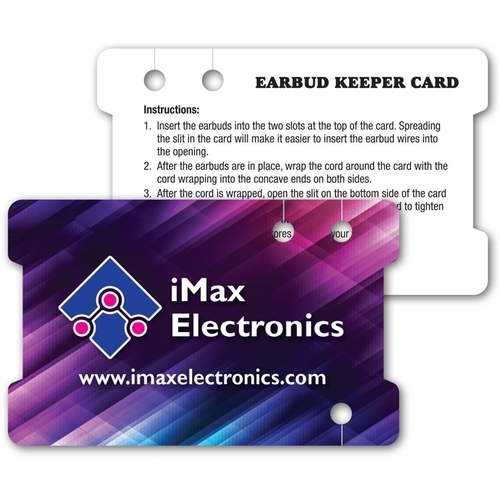 Earbuds simply wind around the laminated card – and around your logo, visual and call-to-action. It’s smart, it’s practical and it ensures you’re always top of mind. 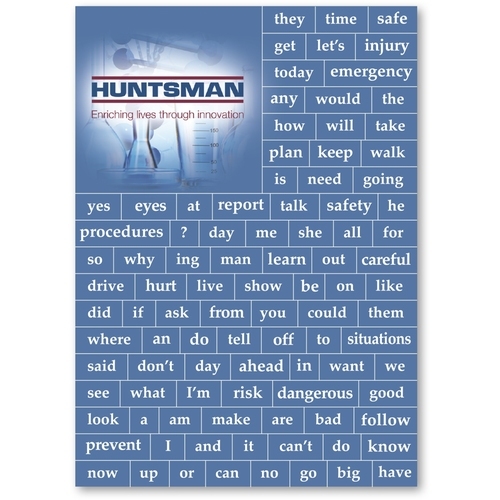 Whether it’s leaving an inspiring message on the breakroom fridge, or simply spelling out something funny heading into the weekend, these message magnets are a fun gift for any client. 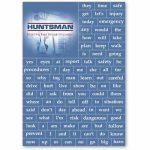 With 97 common household words included, it’s easy to create messages, and affix them to any magnetic surface. Want to keep the fun going post-gift? Have clients share their best messages with a custom hashtag, then award a weekly or monthly winner with a special gift. 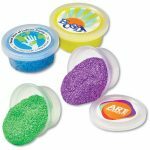 Think putty is just for kids? Think again. There’s something weirdly soothing about squishing these soft foam beads around in your hands, or molding this putty into fun shapes at your desk. 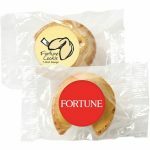 And because they’re packaged two-per-set, there’s no end to what your customers can create – with your branding prominently featured every time they pop open the packaging. 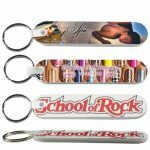 Another low-cost contender for the fun-meets-functional list, these key chains do double duty – not only is it a great way to make keys more visible and grabbable, but it’s also a high quality nail file. It’s the perfect gift for your on-the-go clients because, let’s face it, you often need a nail file when you’re out and about. 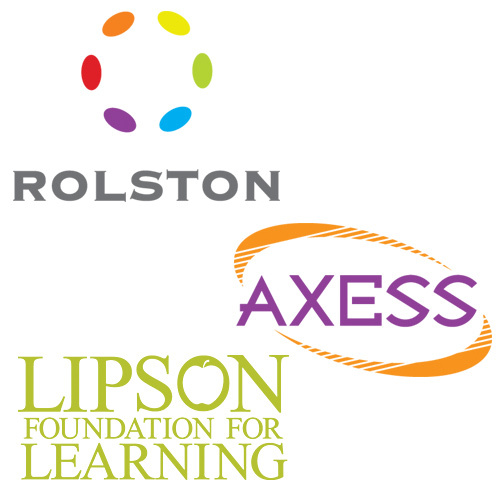 Now, they’ll have one – and with big, bold, full-color branding, they’ll always know who gave it to them. Design your very own full-color, 1.5” temporary tattoos and let your customers or employees be the ultimate walking billboard for your brand. Easy to apply and made with FDA-approved veggie-based inks, these temporary tattoos are safe for anyone, including kids. 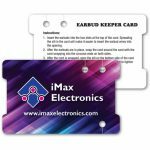 And, with pricing as low as a few pennies, it’s easy – and affordable – to create an entire collection for your upcoming events, trade shows and client meetings. Got questions? We’ve got answers. Get in touch to learn more about our $1 promo collection and to place your order now.